We visit some venue before The Hermitage Hotel, but in the end we choose The Hermitage because of their uniqueness. 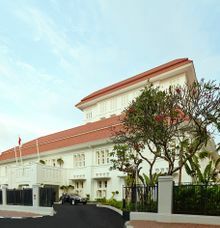 We love their classic colonial hotel concept. 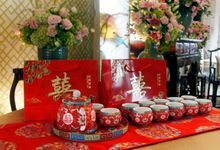 Their staff is friendly and helpful, food is delicious, price also reasonable for 5 stars hotel in Jakarta. 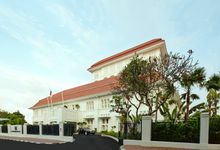 Location is perfect, in the heart of Jakarta. 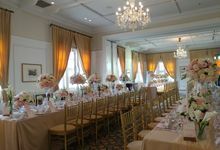 In conclusion, we think The Hermitage is the best Intimate Wedding venue in Jakarta. Thank you The Hermitage! 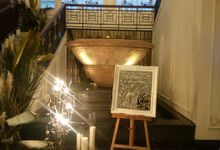 I fell in love the moment i walked into this heritage hotel. 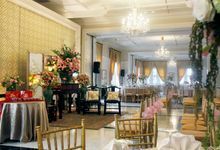 It has this classic luxurious Old-Batavia colonial vibe and was the perfect venue for us who want a semi-intimate wedding in Jakarta. 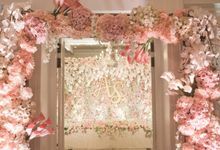 We only need minimum decoration as the hotel itself is already gorgeous. 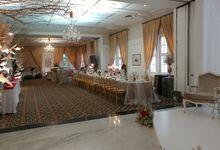 Our guests were raving about how good the food was and how beautiful the hotel is. Hermitage is the best venue! 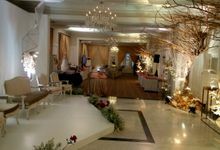 Hermitage is indeed the best venue for intimate Wedding in 5 Star Hotel located in Jakarta. 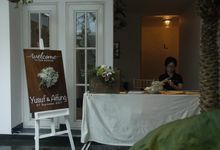 We both are very grateful to Hermitage staff and Wedding Team espically Monica as our personal Wedding Sales. 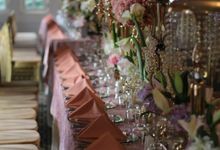 She was very much helpful to organize our wedding and giving valuable inputs in regards to menu, layout & banquet operational. As a result, our wedding went perfectly! 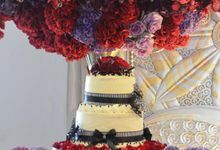 The decoration was awesome, all the guests compliment the foods and services from hermitage. We as a host were very pleased to hear all the compliments from our guests. 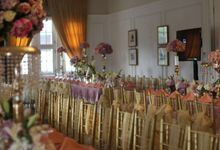 In conclusion, there is absolutely no regret for us choosing Hermitage as our Intimate Wedding venue. Thank you The Hermitage! 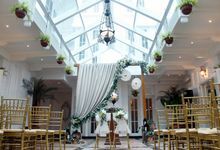 Love at first sight is real....We love the hotel so much we changed out wedding date twice to get a place here. And true enough, the Hermitage didnt dissapoint. 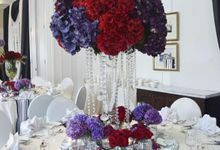 The Hermitage event team has been very flexible and accomodating throughout our wedding planning. 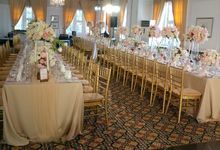 We had two sitting down events in 1 day 2 events, 2 sets of guests...Thankfully consistent assistance from the hermitage event team and the joint forces between them and ID and co made sure both events were carried out smoothly. Dear Ms Jennifer, We thank you for your time to give us a great review. We highly appreciate the time you took to write this review and for sure, we are really happy to read that you had a great experience with us. Once again thank you very much, and we look forward to see you back soon in our hotel. 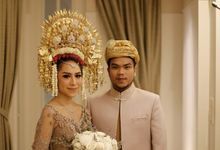 All the best for you, Ms Jennifer and Mr Andreas! 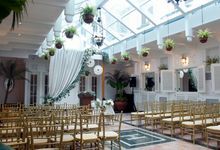 The Hermitage is a dulcet hotel, both exterior and interior are instagrammable. Paul and I fell in love with this place at first sight! 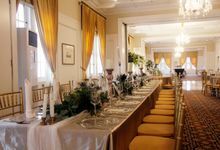 And so did all of our guests, they adored the place and seems like couldn’t stop taking memoires of this batavian opulent building...The service was excellent, all of the staffs was very polite & helpful too. Food served was at the higher level than expected. 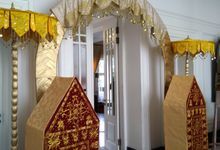 We will never regret to have The Hermitage to be the silent witness of our sacral day. 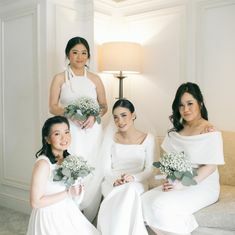 Thankyou for making our special day even more memorable. 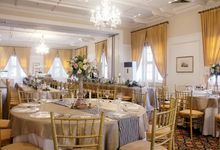 For Indoor, we have 350 sqm of elegantly-appointed ballroom ideal for an event during the day with natural light or in the evening under the massive chandelier. 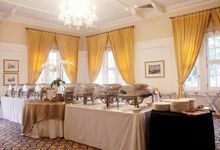 Equipped with dimmer switches, full range of audio-visual equipment, and dedicated banquet & meeting teams. For Outdoor, La Vue pool area and rooftop bar offers a spacious and shaded lounge area with 50 sqm rooftop infinity pool affords additional poolside relaxation. The Rooftop Bar La Vue adorned with candles, whitewashed wood, glass, glistening tiles and nuanced fabrics lend seaside touches to this casually chic level with an incredible 360 degrees panoramic view offers an exciting space that can be privatized for cocktail, gathering and various other events. 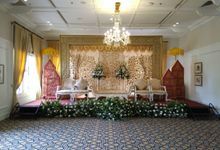 we provide an intimate and private wedding. rehearsal can be conducted beforehand based on availability. 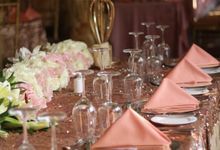 our team will ensure that our clients get the best of our venue. 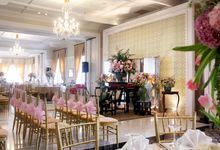 The Hermitage, a Tribute Portfolio Hotel, Jakarta feature 90 spacious guest rooms and elegant suites, as well as nearly 400 square meters of function space, including a grand ballroom and meeting room. Including a fitness centre and relaxing rooftop infinity pool that overlook the glittering Jakarta skyline. The Hermitage houses four different restaurant and bar destinations, offering a wide range of international cuisines and locally-inspired dining experiences.